The Lutheran Church—Missouri Synod began work in Nigeria in 1936 among the rural Ibesikpo clan and grew into The Lutheran Church of Nigeria, which became an LCMS partner church in 1963. Today, the LCMS supports theological education programs and partners with the LCN to carry out mission work in The Gambia and Jamaica, namely, through Alliance missionaries. The LCN has grown to a baptized membership of more than 80,000 members in 339 congregations and 72 preaching stations. The LCN’s national staff consists of 113 ordained ministers, 94 evangelists, 255 lay preachers and eight seminary teachers. Currently, LCMS missionaries also help the LCN in its church-planting and leadership development programs. The Lutheran Church of Nigeria has 10 pastors and church leaders enrolled in the Master of Arts in Christian Outreach (MACO) degree program that Concordia University St. Paul, Minn., and its Hoffmann Instititute are conducting in Nigeria. The LCN operates the Jonathan Ekong Memorial Seminary with an enrollment of 54 resident students and 150 Theological Education by Extension (TEE) program students. The church also operates a hospital and 16 clinics. Physical and spiritual care is given through facilities at Yahe in Ogoja and Eket in Akwa Ibom State, where rural health programs are fighting yellow fever, measles, malaria and guinea worm. 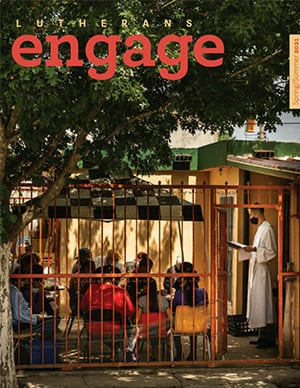 In addition to regular parish ministries being conducted in nearly 40 languages areas, the LCN emphasizes theological education, evangelistic outreach to both urban and rural settings, Bible translation and literacy ministries. This work is focused primarily among the Eleme and Gokana people in Rivers State and the Ejagham people of Ogoja in Cross Rivers State with community development services. The LCN also owns and operates a radio station, which produces tapes used by 11 additional radio stations in Nigeria. In 2001, the LCN began partnering with the LCMS to carry out mission work in another country, The Gambia. Through this partnership, Rev. Samuel W. Essien was sent as an Alliance missionary to a group of 256 Christians representing four preaching stations in that country. The first church building was dedicated, and the first Baptisms of 104 people and confirmations of 84 people were celebrated in May 2002. Alliance missionary Rev. Obot Ite has been serving in Jamaica since 2008, and he is shepherding the congregation of St. Andrews Lutheran Church and reaching out to local families and children through relationships in schools and contacts gained through the local branch of Lutheran Hour Ministries. The LCMS first supported a project in Nigeria in 1985, when it funded veterinary care, health care, adult literacy programs and dam construction. Later mercy projects included wells, housing for health care staff, health center support and equipment, medical training, campaigns against HIV/AIDS, water pumps, and assistance to local people affected by civil conflict. Currently, the LCMS is helping people to repair two churches that were damaged by tremors in 2009. 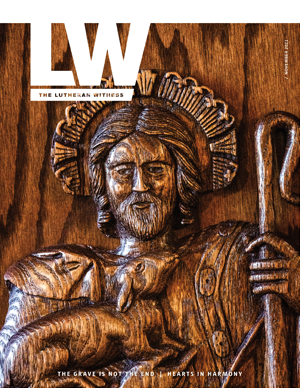 The LCN is a sister/partner church of the LCMS and a member of the International Lutheran Council (ILC). It reports to have a presence in 19 of Nigeria's 36 states. Many of the remaining states are in northern Nigeria, where an estimated 60 million Muslims live. Currently, no LCMS personnel reside in this country. To search for personnel serving in this region in other countries, please visit missionary search database. To learn more about the LCMS global mission team, visit www.lcms.org/missionaries. Obit Idim, Ibesikpo Asutan L.G.A.